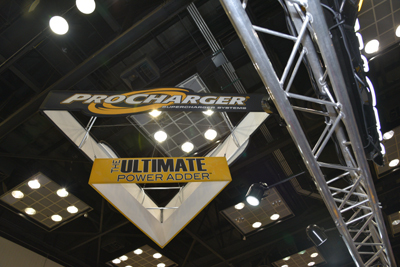 The booth for Powermaster Performance had a lot going on, including many new products and an appearance by one of the fastest people on the planet. In the upper left are some trick new billet mounting brackets including #861 for LSX, #886 for small-block Chevy with long water pump and #860 for LS1 low mount. In the upper right are new starters for Ford Y-block (#9002) and for Buick Nailhead (#9501). In the lower left are a whole host of new diesel starters for Chevy, Ford and Mopar/Cummins. 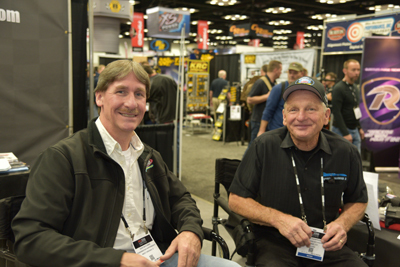 And in the lower right is Powermaster engineer Dave McIlvaine and land speed record-holder Danny Thompson. Danny and his team needed starters with more cranking speed than they were using so Dave and Powermaster developed the starters that were used on the record run at Bonneville. Visit www.PowermasterPerformance.com. 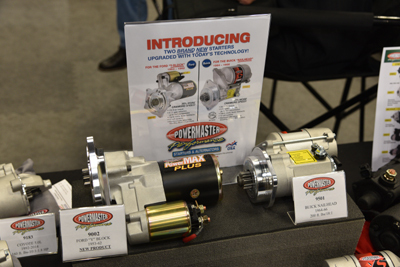 Visit Powermaster's expanded PRI Show listing HERE. 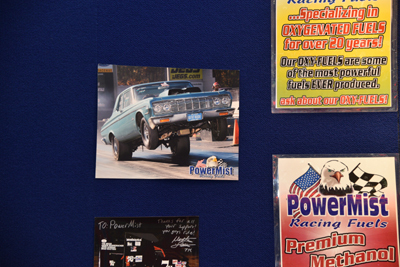 PowerMist Racing Products is America’s oldest family owned racing fuel company. For over a half century, PowerMist has been involved in competitive motorsports worldwide and has produced some of the world’s best high performance products. 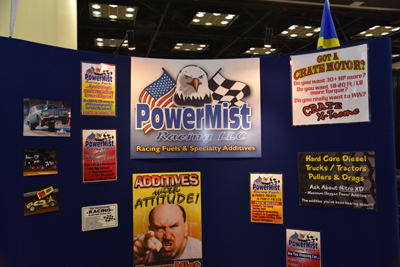 PowerMist is seen as a pioneer and world leader in specialty racing fuels, lubricants and chemical additives. www.powermist.com. 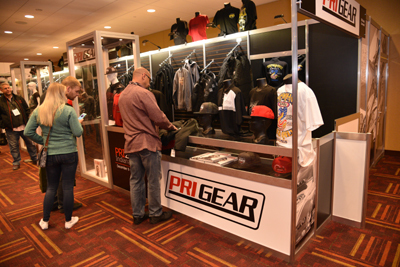 I always buy something from PRI Gear at every show. This year I bought this cool t-shirt, and it came with a smile! You can still buy items directly. Visit prigear.com. 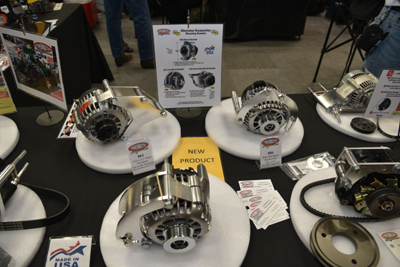 ProCharger debuted their new RaceDrive unit, an integrated gear drive combined with their F-Series supercharger. This compact drive unit centrally mounts the ProCharger closer to the engine and higher up for easier installation. 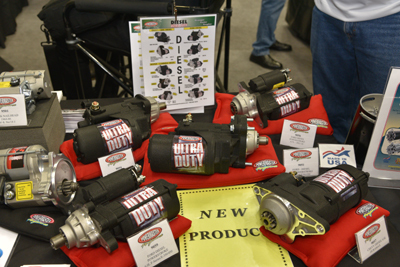 It also allows you to easily change gear sets or blower speeds by swapping out the quick-change gears. www.ProCharger.com. 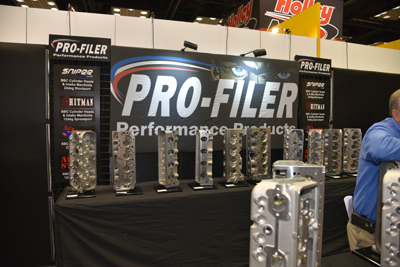 Pro-Filer manufactures cylinder heads and intake manifolds for big block and small block Chevy and Ford. 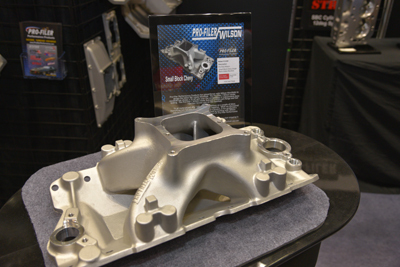 They were showing their Pro-Filer/Wilson SBC single-plane intake with 4150 flange (#230). www.profilerperformance.com. 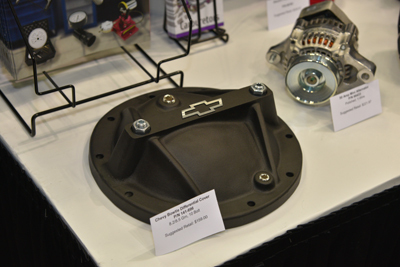 Once again, PROFORM Parts debuts a bunch of cool new products at PRI. 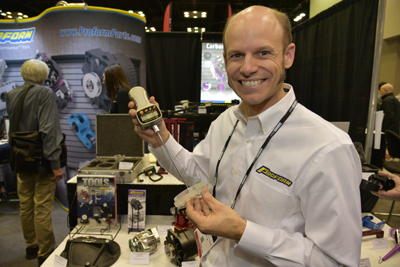 In the upper left is PROFORM's Booth Platt modeling their new Piston Ring Friction Pull Measurement Tool (#67657), which accurately measures the pull of a ring in the bore. 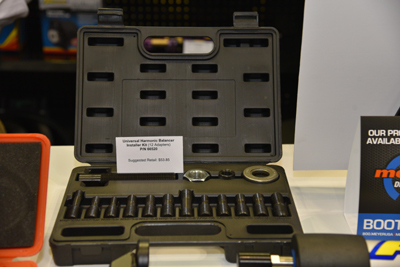 Shown upper right is the Universal Harmonic Balancer Installer Kit with 12 adaptors (#66520). Lower left is their new Chevy 10-bolt differential cover in black with bowtie (#141-696) and lower right is their Wireless 7,000 lbs. 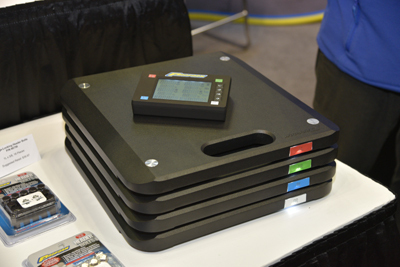 Vehicle Scale (#67644) with portable hard storage case slim 15" x 15" aluminum weighing pads and LCD backlit display. www.proformparts.com. 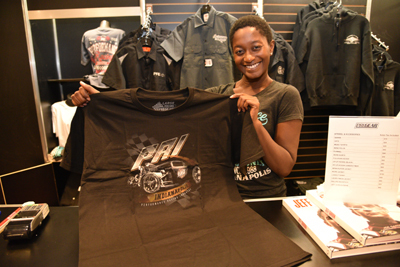 Visit PROFORM's expanded PRI Show listing HERE.